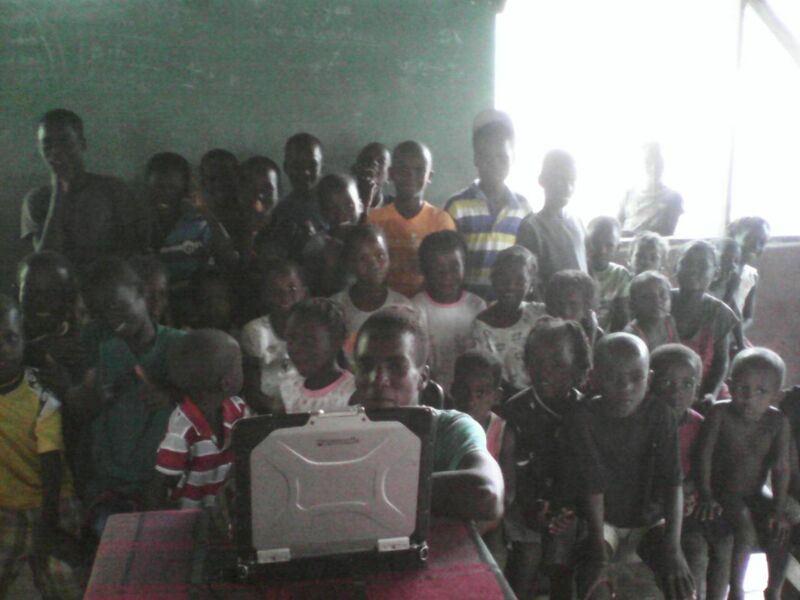 The computer literacy program in Grande Saline, which started with one laptop powered by a gas generator in July 2014, has continued to expand and grow. Now, technology and computer classes are part of the graded curriculum at the primary school in Grande Saline. Students in all different grade levels enjoy computer classes taught by teacher, Mr. Elysee. The computers were donated by the Pall Corporation, the SUNY Broome BIT program, and Geodis. All of the computers were refurbished and set up by Bridging the Digital Divide volunteer, Jack Rappaport. And thanks to Dr. Gay Canough and ETM Solar Works (as well as our Health for Haiti students), the computers are powered by the sun. This is a great use of “old” technology that, in most cases, was just gathering dust here in the United States. Now these laptops are the center of a vibrant computer literacy program for hundreds of children. Most of the primary school students have now moved beyond the fundamentals of learning the parts of a computer and basic hardware, to mastering file structure and word processing skills. 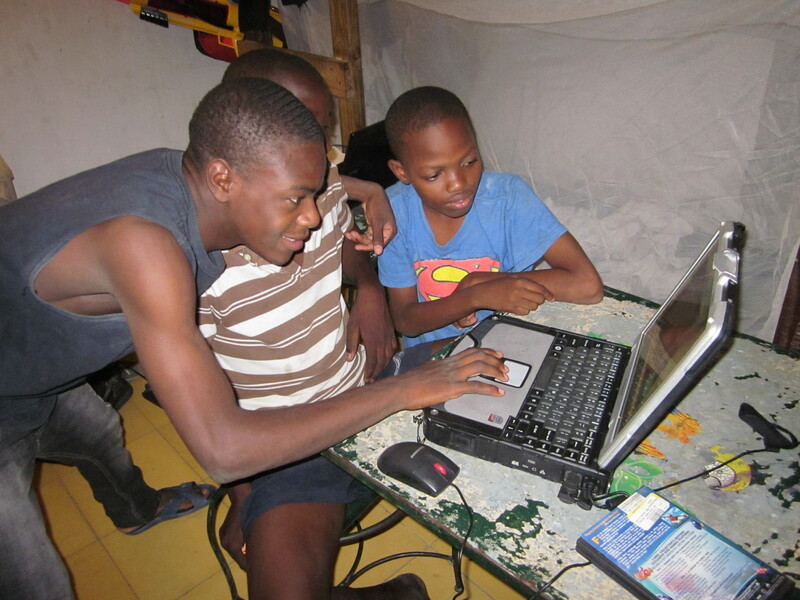 In addition to learning “offline” computer literacy skills the students in Grande Saline also have some access to the Internet, which allows them to reach far beyond their classroom. 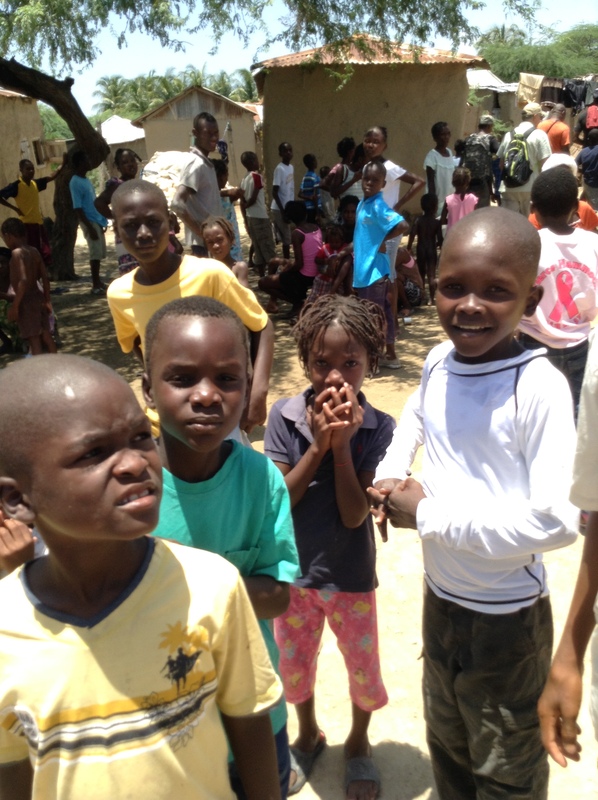 They recently enjoyed a lesson where they visited this Health for Haiti blog and were excited to see pictures of their school and community as well as their friends from SUNY Broome. The students are learning how to use a browser to search the Internet and developing plans for communicating with students in the United States. It is easy to see that the children enjoy their computer class, and their teacher often reports that the kids are very enthusiastic about what they are learning. Much like students here in the United States, the students in Grande Saline get comfortable with the computers very quickly. The videos below show the 3rd and 4th year students working together in class. The enthusiastic students have made quite an impression on adults in the local community. There have been several requests to begin an evening or weekend adult computer literacy class in Grande Saline. Mr. Elysee is working on developing a training program that would last nine months, with an assessment every three months. At the end of the program, adult students who successfully completed the program would earn a computer literacy certificate. Adult students would also learn the fundamentals of computer hardware, basic word processing skills, more advanced lessons about spreadsheets and presentations, and some basic training in search engines. Although there is a lot of interest from local adults, there is still work to be done to arrange adult classes in Grande Saline. We hope to help the community to set up this new program in the future. Grande Saline is not the only site that has seen a transformation from access to technology. Health for Haiti is also helping to support a few similar computer literacy programs in Port au Prince, and is very happy to hear that children and adults are making great progress towards achieving basic computer literacy skills. 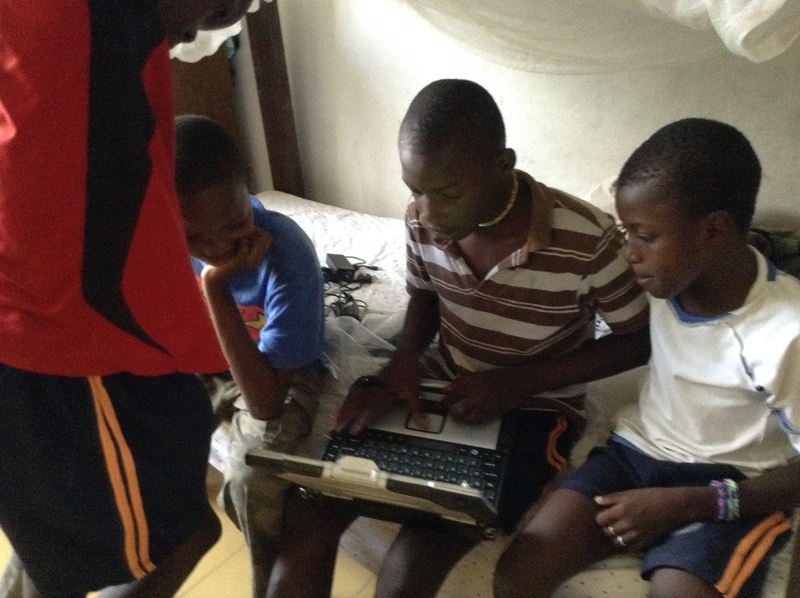 Below are some pictures from a busy computer lab in Cite Soleil. 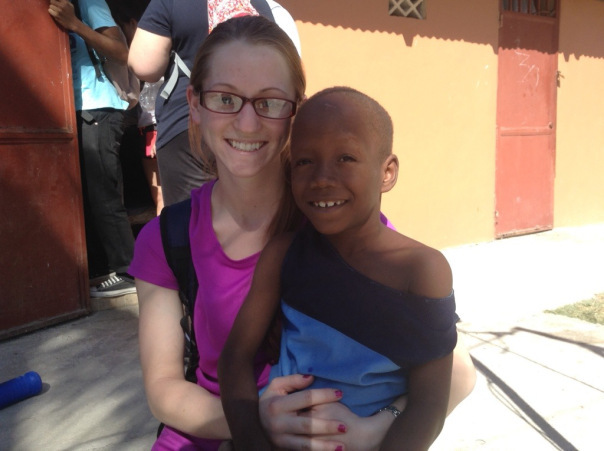 We are grateful for all of the support for this and other Health for Haiti programs. We hope that new educational and economic opportunities and access to technology might provide some tools that could help each community to make sustainable positive changes. One thing is for certain, as these programs continue to grow and reach more learners, they become a source of pride for the entire community. The children in Grande Saline continue to enjoy their computer literacy lessons and are becoming more and more comfortable in their computer use. The pictures below are from a class this week.The children are using three laptops donated by Geodis and SUNY Broome. The laptops were refurbished by the Bridging the Digital Divide Program (BDDP) and are currently powered with a gas generator. Also, thanks to the hard work of SUNY Broome Professor Sandy Wright’s Project Management class, we now have a Facebook site where students in the United States and students in Haiti can interact, and we will be able to provide the students in Grande Saline with certificates of achievement to celebrate their progress. If all goes well with our recent shipment to Haiti, the 2015 Health for Haiti students will also work under the direction of Dr. Gay Canough from ETM Solar Works to help install the equipment needed to power the Grande Saline Computer Lab with solar power. Thank you to everyone who has donated resources, time, equipment and expertise to the “Bridge to Haiti” project. You are providing these children and young adults with a valuable opportunity to gain new skills and new experiences. 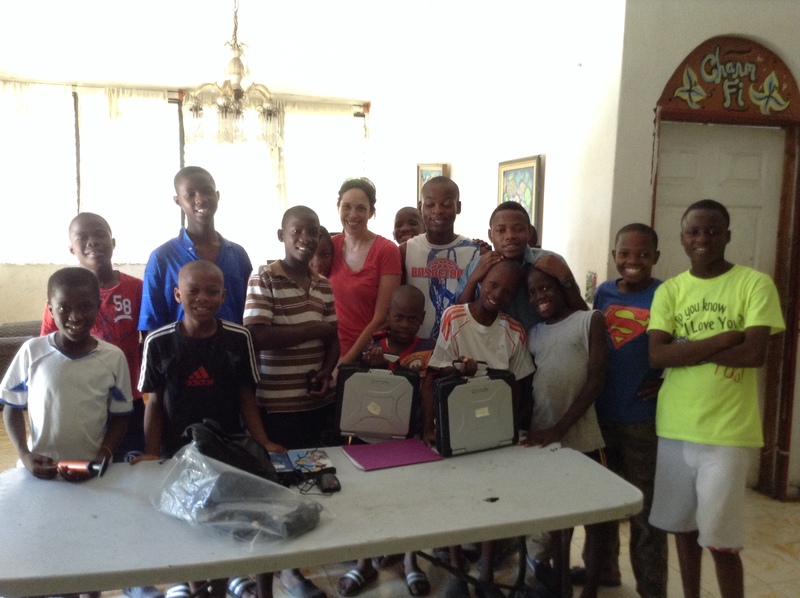 Geodis Donates More Toughbooks for “Bridge to Haiti”! 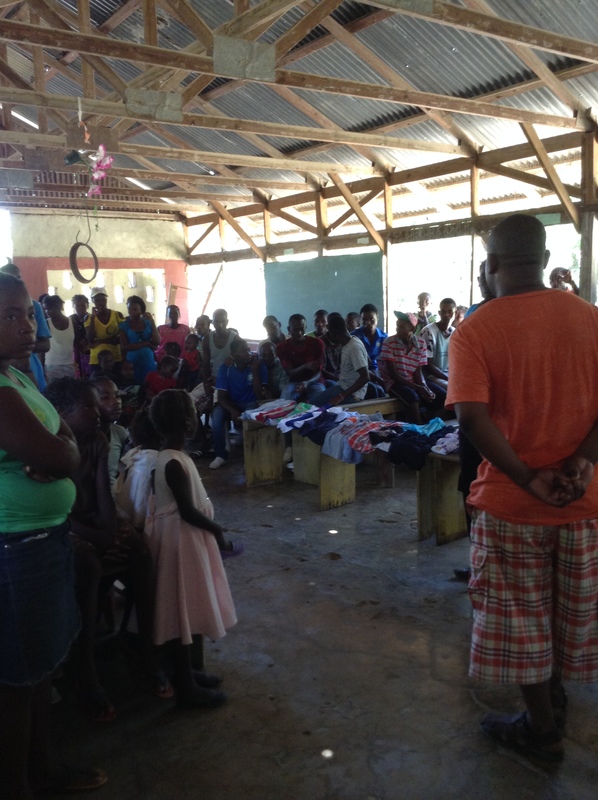 Geodis has once again provided valuable equipment for the Bridge to Haiti program. John Yesensky and his team from Asset Recovery Operations at Geodis in Endicott have refurbished and donated thirteen more Panasonic Toughbooks to the program. Last summer, Geodis donated six of these rugged machines, the very first computers that Bridge to Haiti placed in Haiti. The Toughbooks are built to withstand rough conditions like drops, dust, and grime….and are perfect for heavy use in rural Haiti. One of these machines will be dedicated to the Pall AX1 water system in Grande Saline and will permit communication between the Haitian operators and the engineers at Pall in Cortland. The engineers at Pall will be able to monitor the system and help troubleshoot any problems that may arise. The rest of the Toughbooks will be used to provide computer literacy training to children and young adults at our computer lab sites in Haiti. Thank you again to Geodis for their incredible support of the Bridge to Haiti program!! Thank you (once again) to the Pall Corporation in Cortland, New York! Today, the employees at Pall donated 35 (!) laptops to Health for Haiti’s “Bridge to Haiti” program. The used laptops were prepared and reformatted by Pall employee Rick Dorman, who worked on the laptops in his spare time. The computers were picked up at Pall in Cortland this morning and delivered to Jack Rappaport, the head of computer refurbishment for BDDP. Thank you to Jack and the BDDP Refurbishment Team at Binghamton University who will begin work this Saturday to load all the necessary software on the machines and prepare them for use in Haiti. 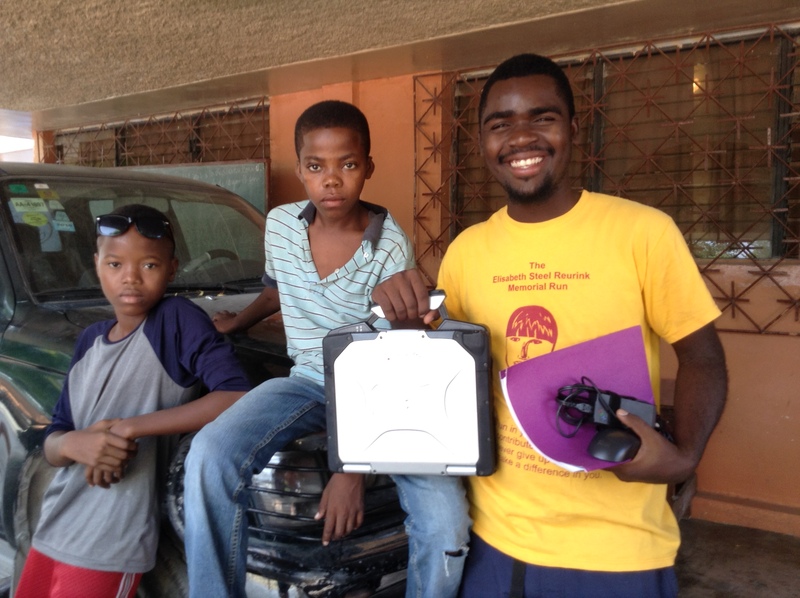 In January, the 2015 Health for Haiti students will transport these laptops to Haiti and install them at our computer lab sites. The students will use the machines to provide some basic computer literacy training to children and young adults. The computers will remain in Haiti and will be used to provide new opportunities for computer literacy training. The “Bridge to Haiti” program would not exist without generous donations of time and equipment from our community sponsors. Thank you. 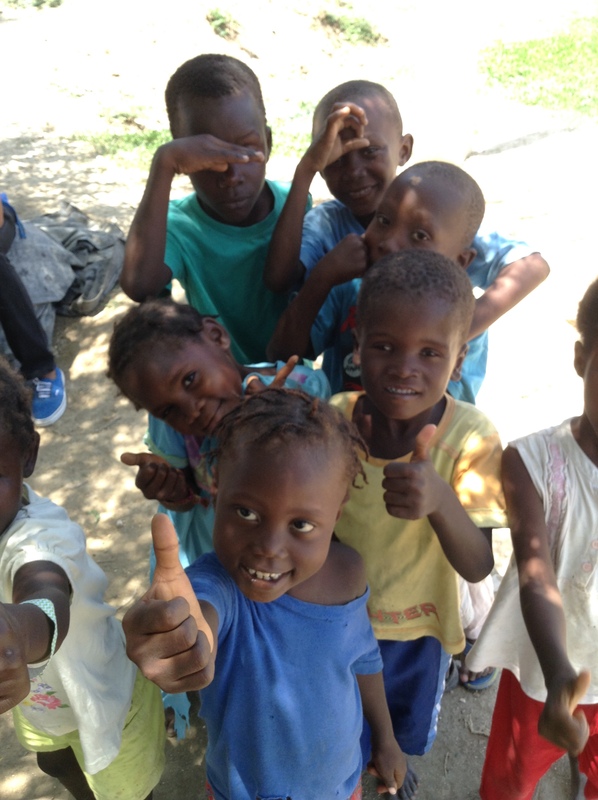 It has been a very busy and exciting few months for Health for Haiti. We have eighteen students registered for the 2015 course and we are raising money to fund our health clinics and other projects. We are also making plans for our January 5th departure to Haiti. Thanks to our amazing and generous corporate partners, the Pall Corporation, ETM Solar Works, and Geodis Wilson, we are one step closer to implementing our 2015 project to bring clean water and solar power to Grande Saline, Haiti. 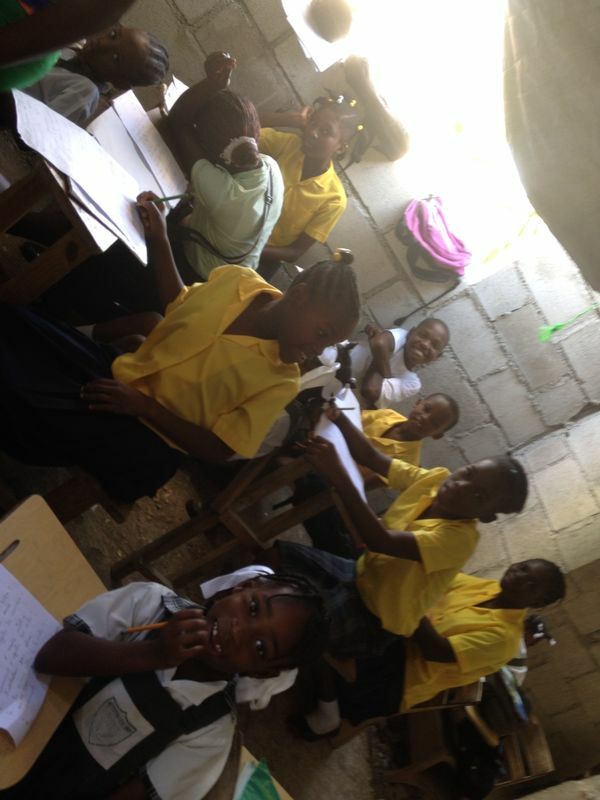 The 2014-2015 “Bridge to Haiti” project is off to a great start! 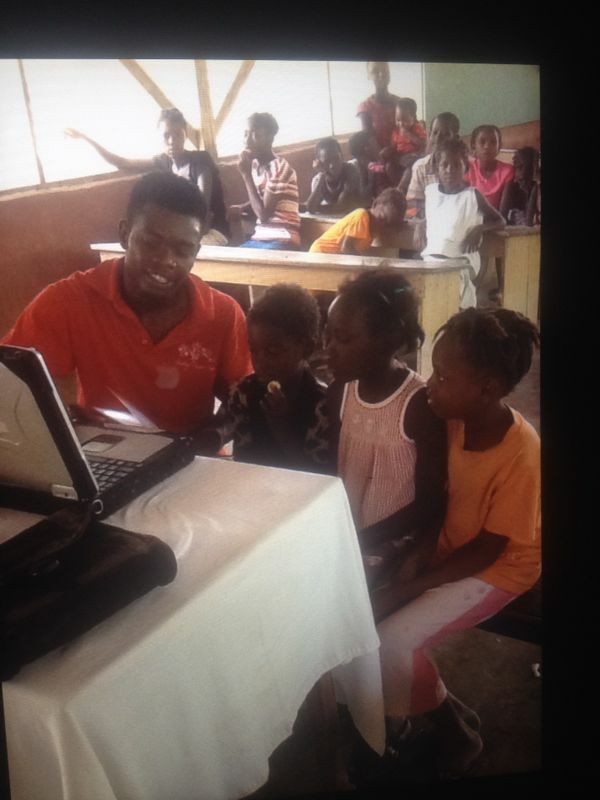 Thanks to a generous donation of time and resources from Geodis and the Bridging the Digital Divide Program (BDDP), SUNY Broome’s ‘Health for Haiti’ was able to provide six refurbished Panasonic Toughbooks for schools and orphanages in Haiti. Panasonic Toughbook with computer literacy training materials provided by BDDP. 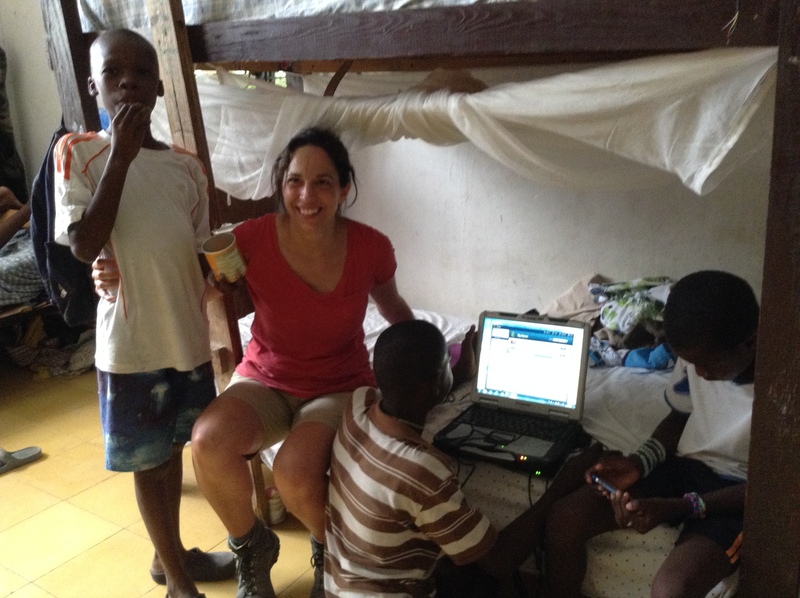 The six laptops were distributed to four different locations in Haiti. The Home of Destiny orphanage (2), Coram Deo orphanage (1), La Feve school (2) and the community of Grande Saline (1). It was amazing to see the excitement surrounding the Toughbooks. Each location is making plans to offer computer literacy classes using the materials provided by BDDP. Several lessons have already been translated into Haitian Creole by Shaina Louis, a SUNY Broome student who is from Haiti. Shaina will continue to work on the translations over the summer. In addition to providing children and young adults with the opportunity to acquire new skills, we hope to establish up a virtual “Bridge to Haiti” that will allow the SUNY Broome community to communicate with the people of Haiti. There are many opportunities for sharing knowledge and learning from each other. People in Grande Saline learn that they will have some laptops and computer training classes. We will be communicating with our four computer sites over the next six months and learning about how the computers are being used and what can be done to maximize their effectiveness for literacy training. We will also gather information that can be used by SUNY Broome students who can create additional training materials. We are also looking to the future to build additional computer centers. 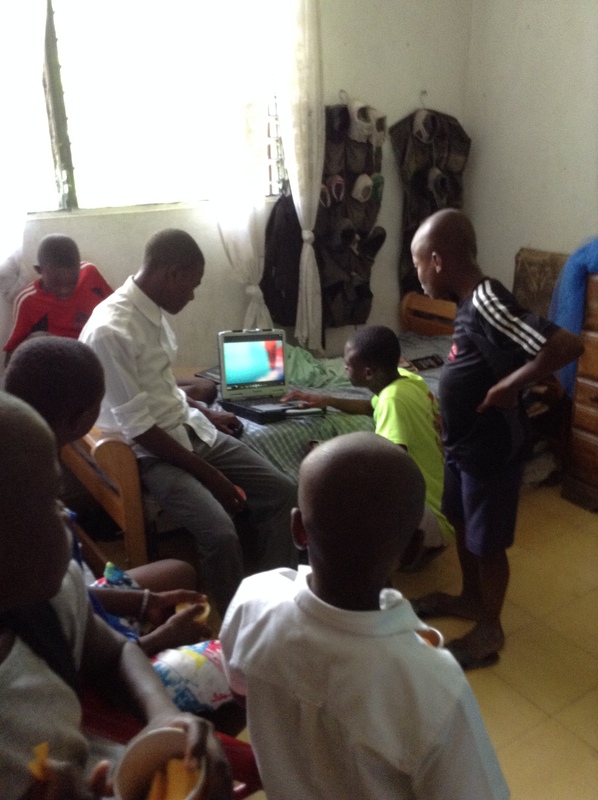 There is a desperate need for computers and computer literacy training in Cite Soleil, so we hope to be able to assist them as well. Along with our efforts to build a computer center in Grande Saline, we are also working with the Pall Corporation in Cortland, New York to bring this community of over 1000 families a water filtration system that can provide 10,000 gallons of clean water each day. 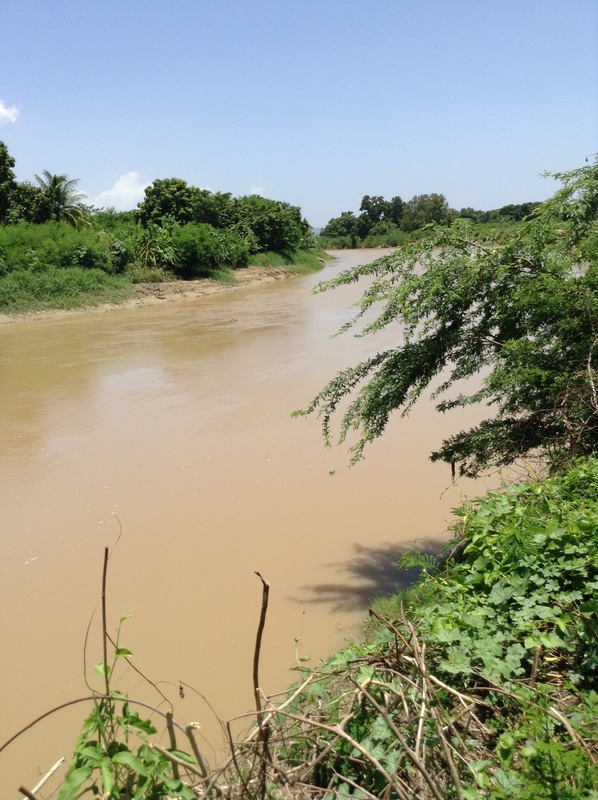 The people of Grande Saline do not have access to clean water and often become ill from drinking contaminated river water. One major challenge for both of these projects is to successfully transport the equipment to Haiti and to Grande Saline. We will continue to make plans over the coming months with the hope that in addition to our health clinics and education activities, our 2015 Health for Haiti class will be able to help with the establishment of the computer center in Grande Saline, computer literacy training, and the installation of the water filtration system.